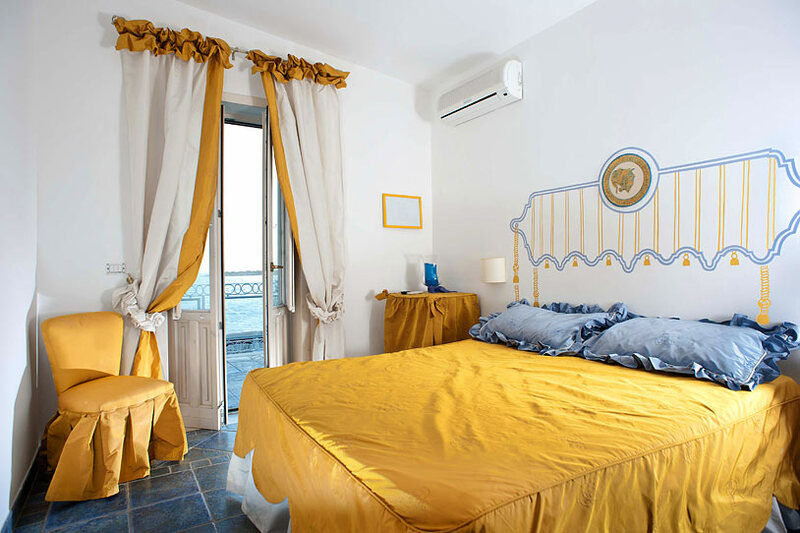 …..a must-see for every Sicilian vacationer! 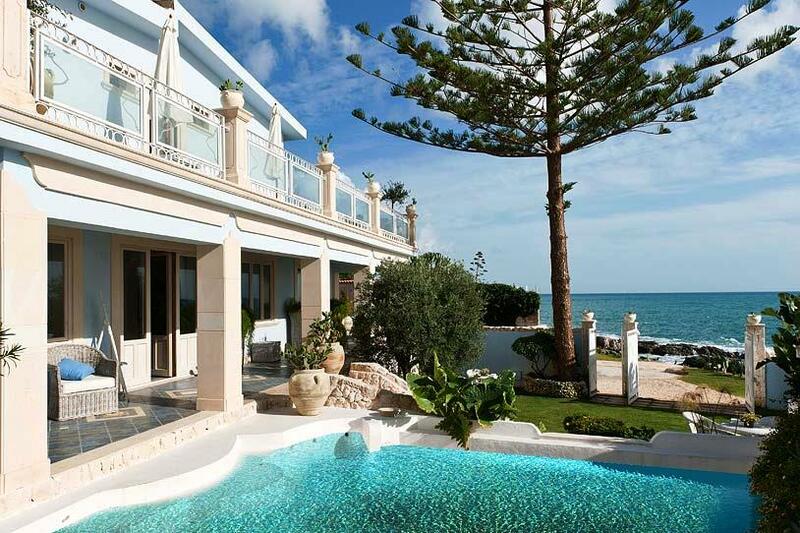 A dream villa at the seaside in Sicily with swimming pool. 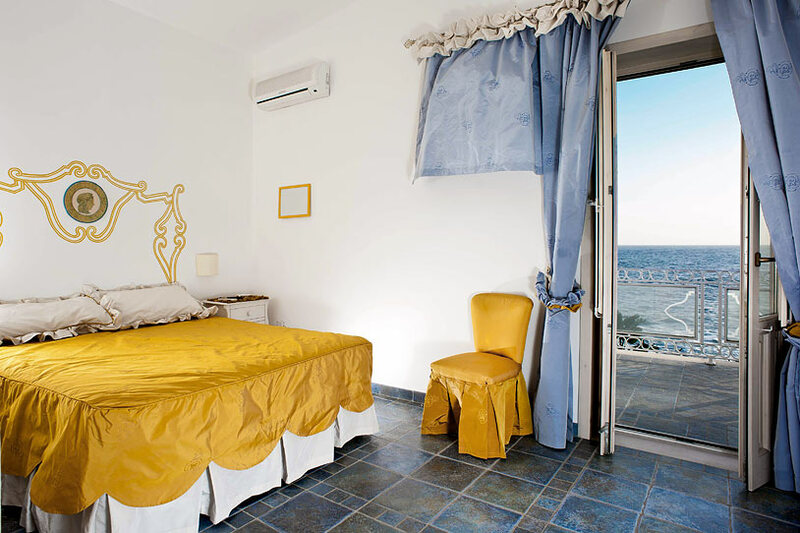 The Villa on the sea is a beautiful beach villa in Sicily, with enough space for up to 12 people, situated directly by the sea at Fontane Bianche, a well-known bathing site only a few kilometers away from Syracuse. 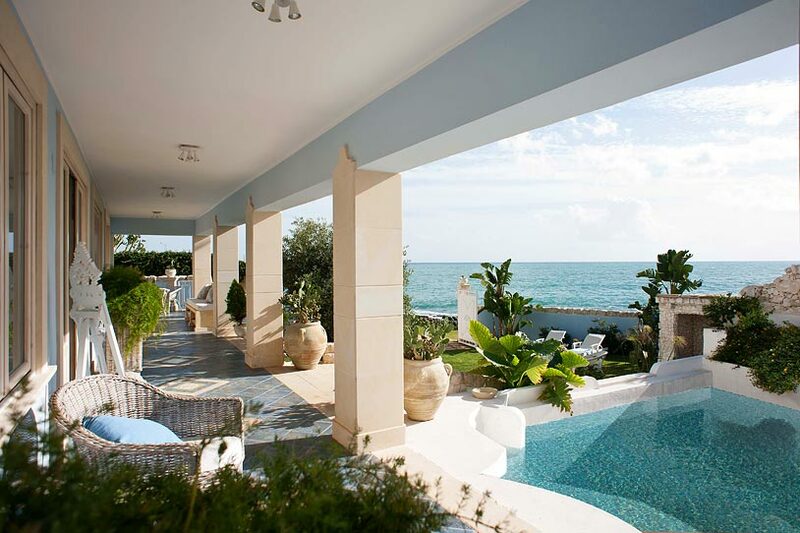 In front of the beach Villa, there are wonderful opportunities for swimming in crystal-clear water, which acts as a type of natural swimming pool with flat rocks, perfect for families with children. 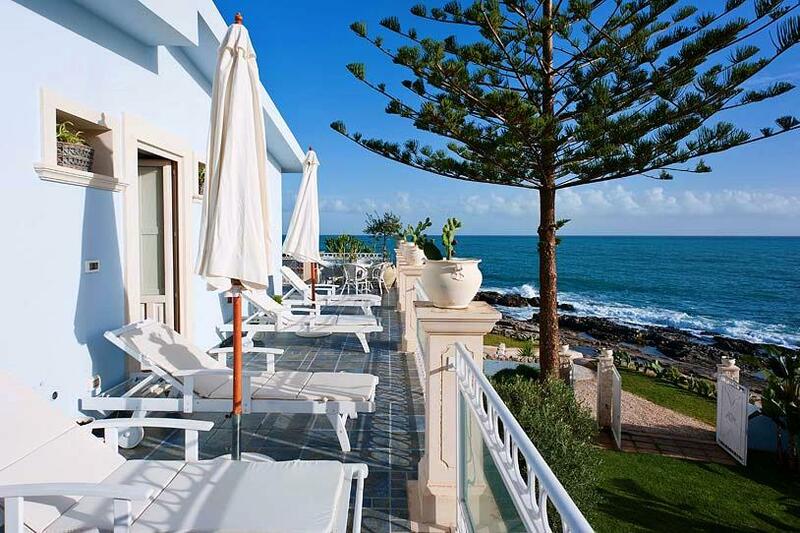 For those who love sandy beaches, you can find one only 500 meters away. 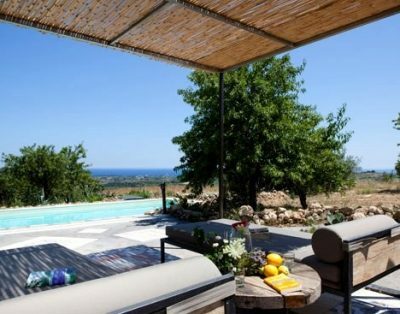 Next to the direct access to the sea provided by this beautiful Sicilian vacation villa, you can take a refreshing dip in a wonderful swimming pool with hydro-massage (6m x5m), and relax on sun beds beneath sunshades. 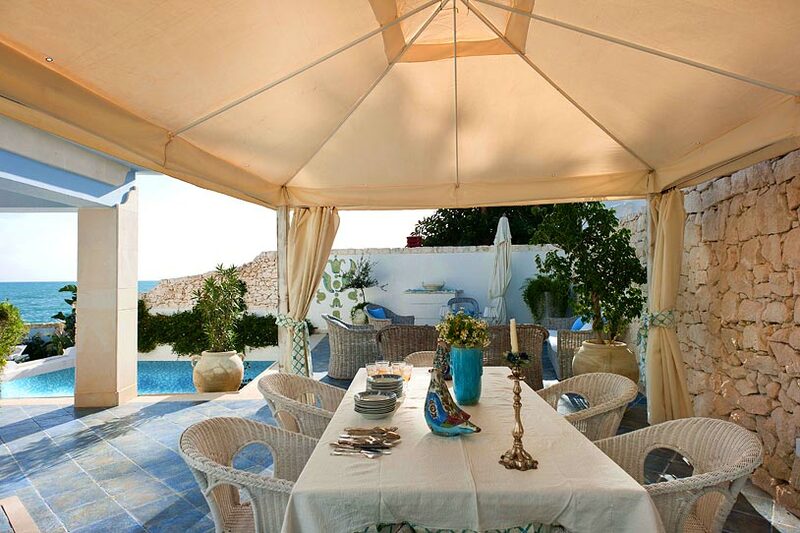 This tastefully-furnished, elegant vacation villa with pool was recently renovated and can be found in the middle of a green oasis with wonderful seating opportunities to enjoy both the sea and the sunsets. 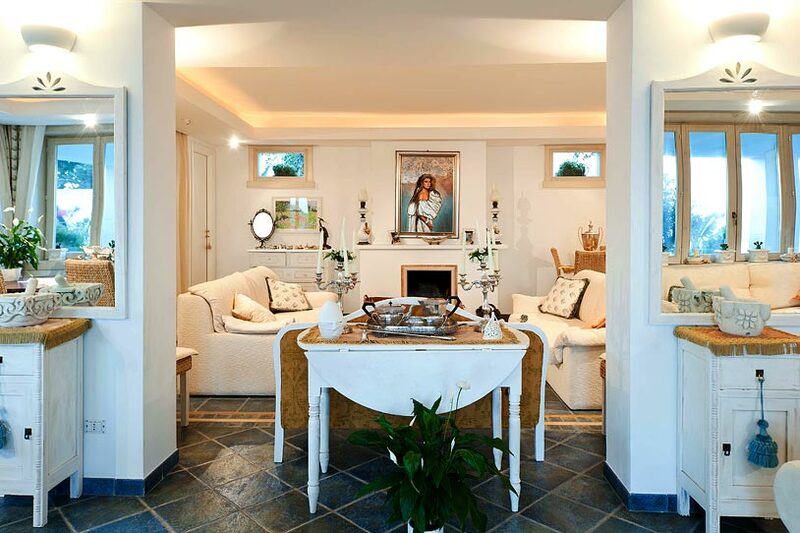 The interior of the Villa on the sea was decorated in exquisite style, with loving attention paid to the smallest detail. 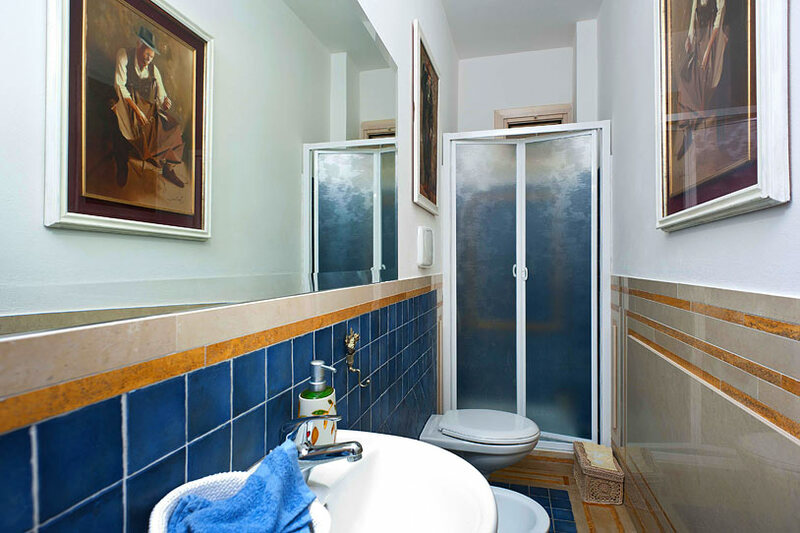 The proprietor lives inconspicuously in a separate apartment in the basement and takes care of the daily cleaning. 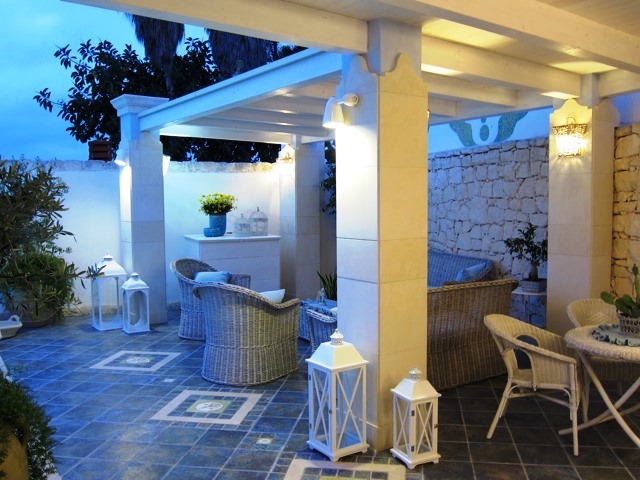 The villa is equipped with many amenities such as air conditioning, heating, Wi-Fi, a dishwasher, an outdoor kitchen, a barbeque, and much more. 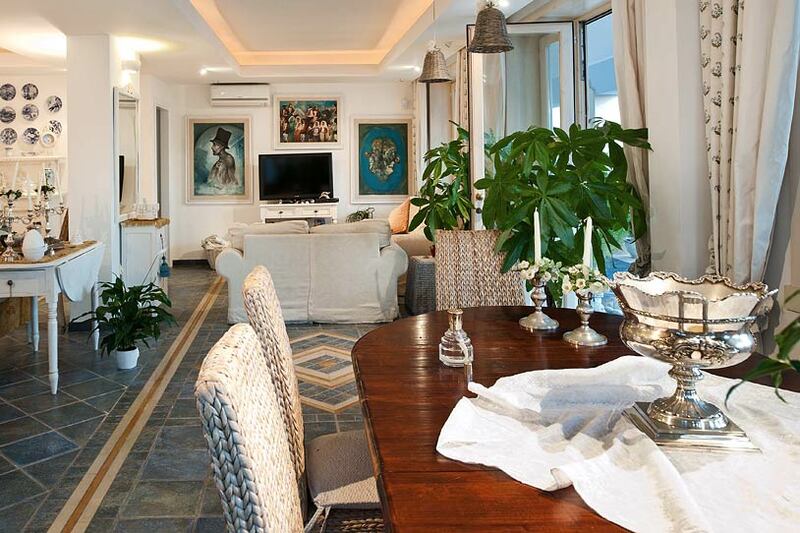 With a total of six bedrooms and seven bathrooms, this villa is an absolute paradise by the sea in one of the most beautiful regions of Sicily! 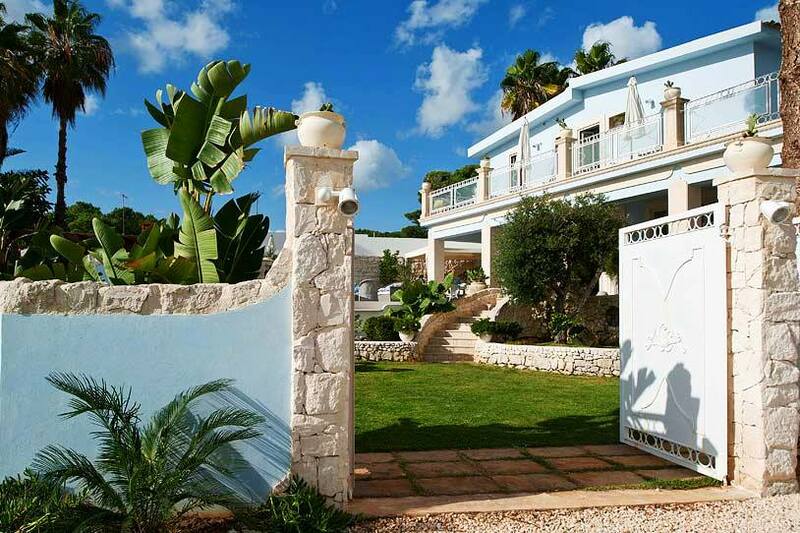 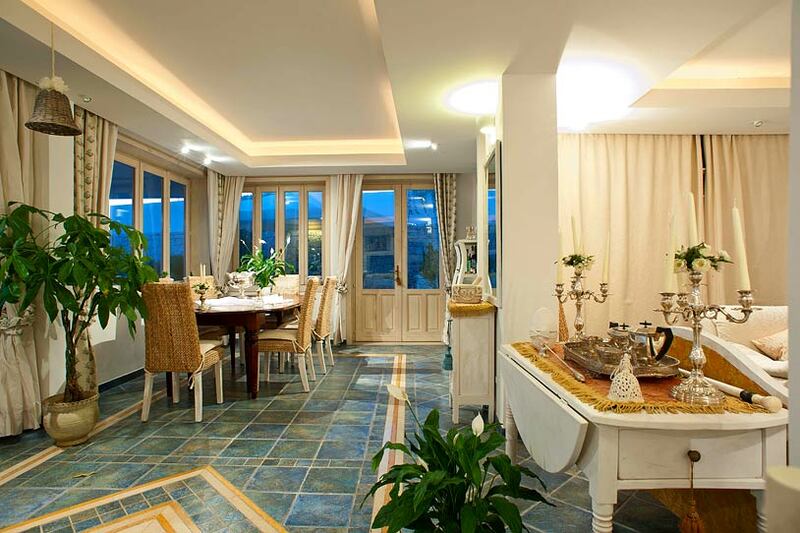 The Villa on the sea can be found 17 kilometers south of Syracuse, in the community of Fontane Bianche. 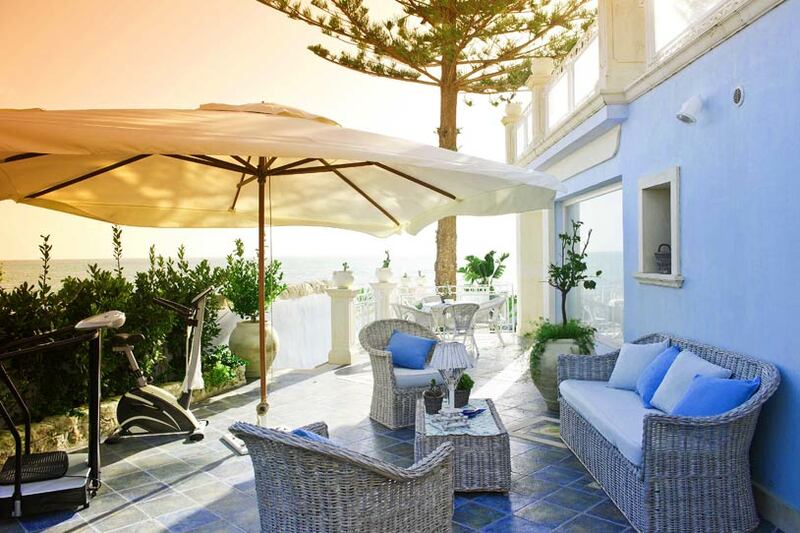 This location, with its golden beaches and rocky coastlines, is one of the most well-known and beautiful resorts in all of Sicily. 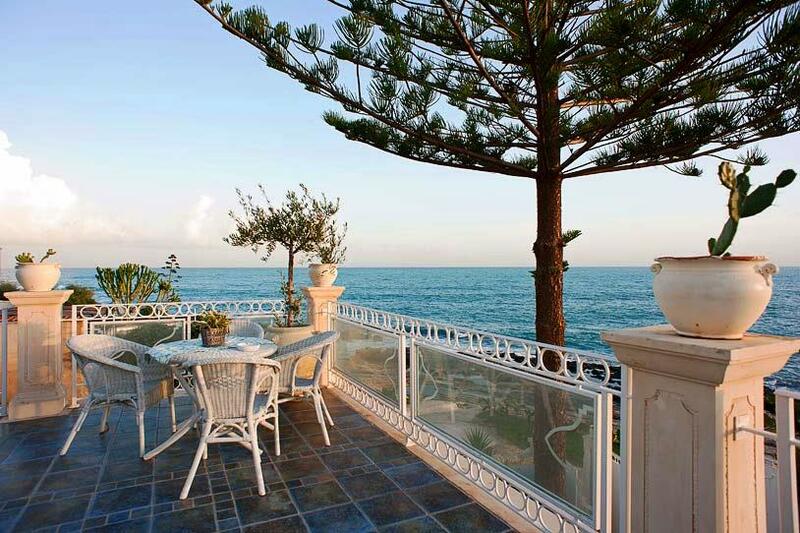 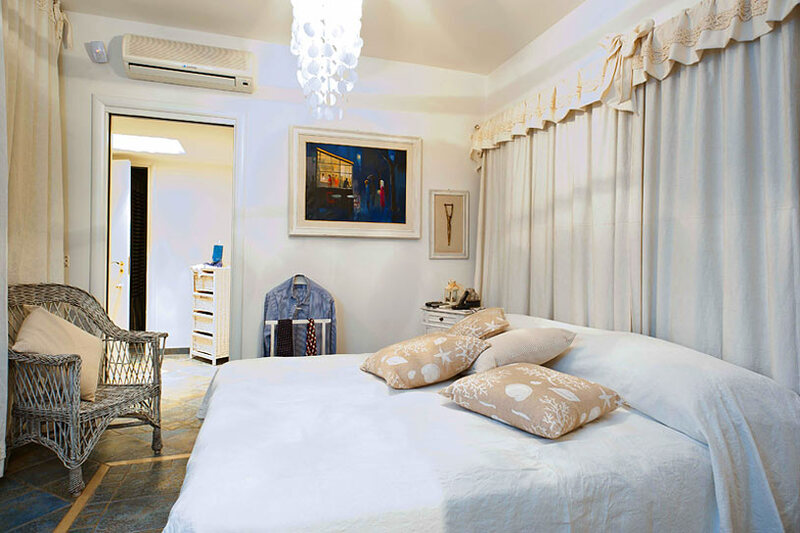 The beach Villa is also located in the Val di Noto, the Baroque triangle of Sicily. 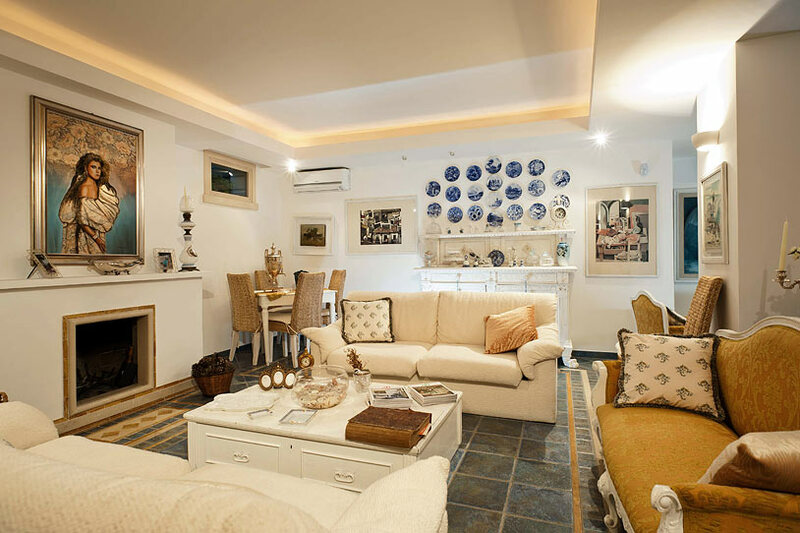 Whether you prefer the honey-colored jewel of Noto, the historical Syracuse and Ragusa Ibla, the world-renowned ceramics of Caltagirone, the Necropolis of Pantalica, or the small village of Buscemi – this part of Sicily is a complete museum and perfect for glimpsing the former rural traditions of Sicilian country life! 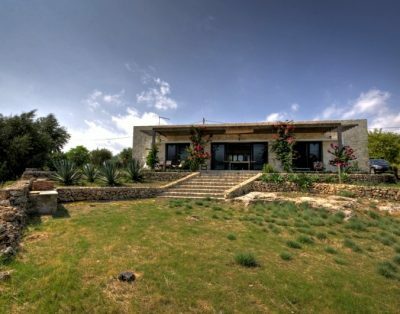 Don’t forget the landmarks of natural beauty, such as the Vendicari Nature Reserve and the volcanic lakes of Cava Grande del Cassibile. 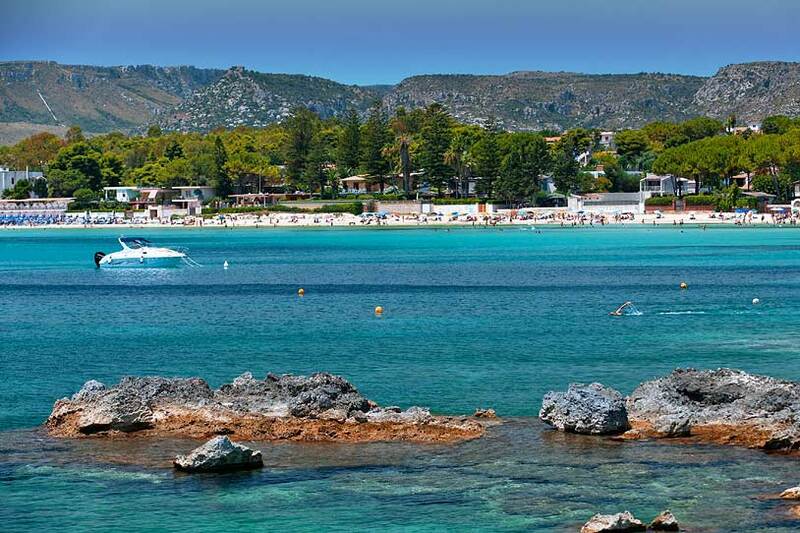 The list of possible excursions on Sicily is long and entices you with unforgettable adventures, both big and small. 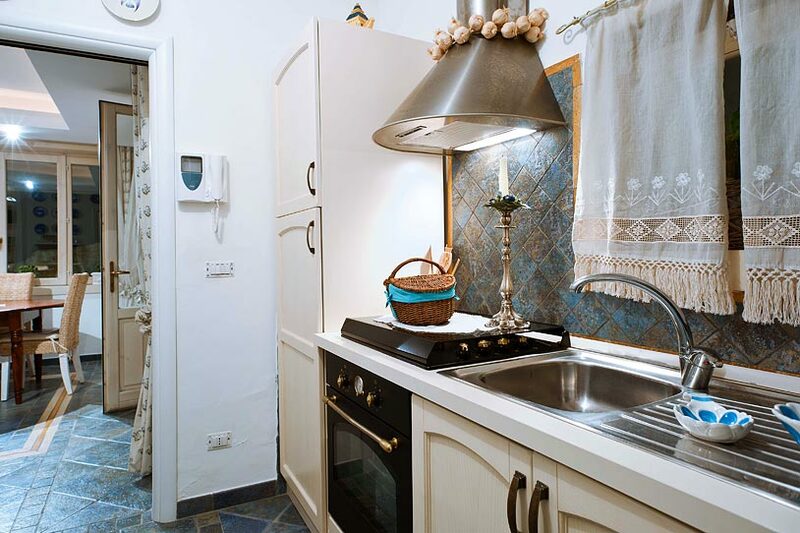 Culinary specialties should not be missed during your Sicilian vacation, be it the heavenly chocolates of Modica, a Granità made from lemon blossoms, or a glass of Nero d’Avola.